I really like the OMG monthly goal setting party, and I was pretty consistent this year until September. October is a busy month for me and it will mean not much sewing time. I'll lose probably two weeks when my machine goes in for a tune-up. 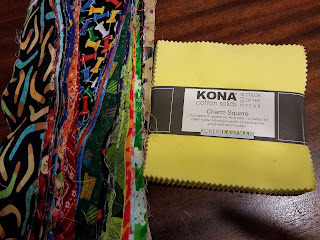 I made a Jelly Roll Twist quilt with an I Spy jelly roll created by a swap I hosted a while back and some Kona Highlight. The top ended up being much bigger than I liked, especially for Project Linus donations. 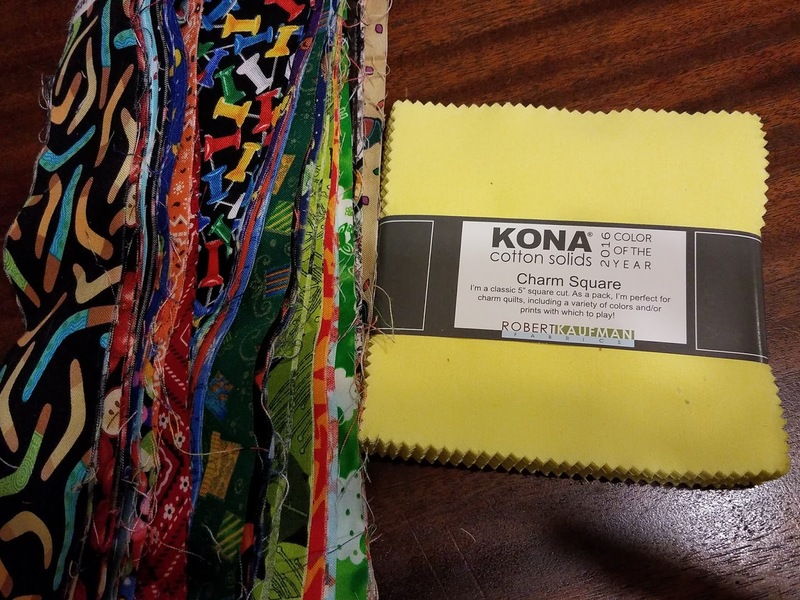 So I did some seam ripping and turned it into 2 quilts. Getting them both done is my One Monthly Goal for the linky party hosted by Patty at Elm Street Quilts. What a nice idea to make some donation quilts. Thanks for linking up with Elm Street Quilts One Monthly Goal and good luck on your project. Good luck with your goal Emily. I make a lot of donation quilts myself and we often have to make adjustments to get the right size.